By Rev Dr. Beth Rupe. Prayer at its simplest can be thought of as conversation with God. As in any relationship, this conversation can take many forms. Prayer is a way to express gratitude to God for the blessing of being in relationship. It is a way to let God know what is on your heart and in your mind. Prayer can be a petition where we ask God to fulfill a request for us or intercession where we bring concerns of another to God. 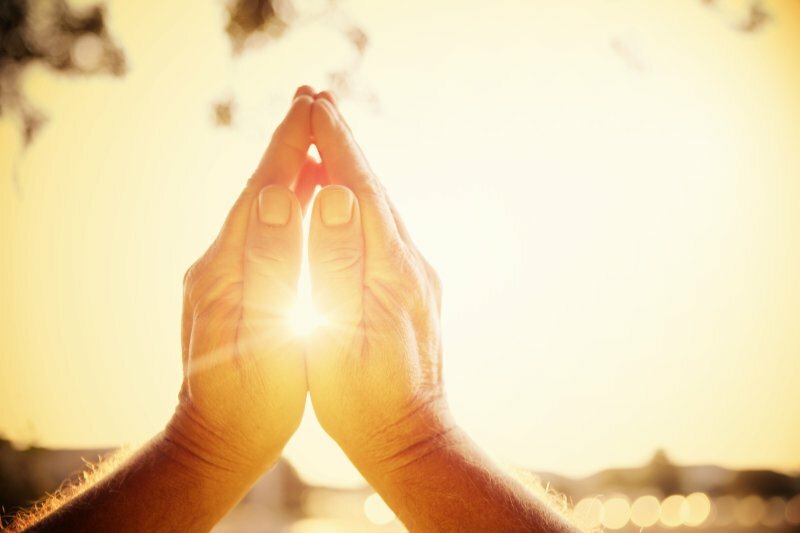 Prayers can be intimate or global; they can be the sharing of our joys or sorrows. We do not have to hide or cover up how we are feeling when we talk to God. Prayer is unique to the conversation partners; no two people will have the exact same conversation with God. In other words, we can talk to God about anything. We can express all types of feelings. We can ask God for the things we want; we can express gratitude for the blessings of life. However, it is important to remember that prayer is not just about us talking to God. Prayer is also about God talking to us. When we dominate the conversation and do not allow God to get a word in edgewise, we do not allow God to share what is important to God. We deprive ourselves of the opportunity to be instructed by God. We cannot grow closer to God in a genuine way if we do not allow God to reveal God’s heart to us. Good conversations with God allow us to both talk to God and listen to God. Listening requires that we create a space for God to communicate with us. It requires that we prioritize waiting for and listening for God. It means we do not assume we know what God has to say. Good communication requires that we sometimes let God set the agenda for our conversations. Here are some tips on how you can begin to create a space to listen and engage in dialogue with God. Create a sacred space that is conducive to prayer. Have a Bible, objects such as a cross, pictures of people and places that are meaningful to you, a basket with cards and a pen to write notes as you pray. You may want to have a candle to light or a way to play music in your space. This should be a place that reminds you of the presence of God. You may want to add different objects for the different seasons of the church year. Schedule a regular time to prayer when you are alert and can focus on listening for God. As you begin to pray, take a moment to center yourself by sitting quietly and breathing deeply. Allow time to clear your mind of all that might be distracting or calling for you attention. Breath in and out. Let God know that you are listening and prepared to receive what God has to say to you. Write down thoughts that occur to you as you were listening. What new insights occurred? Who came to mind? On what do you need to follow up? Express your gratitude to God for what you have received. Read a passage of scripture, slowly and thoughtfully. Consider how this passage is relevant to your life currently. What is God trying to tell you in this passage? Close by telling God what is on your heart. Thank you, Beth, for your insights. Thank you Beth, I will become more focused.